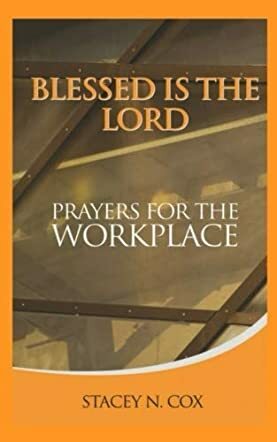 Blessed Is The Lord Prayers For The Workplace (Volume 1) by Stacey Cox is an orderly guide to applying Christian beliefs wherever a person spends a large part of their day. It opens, literally, with Guidance. First, gratitude for work; second, commitment to work; third, dealing with its challenges; fourth, setting an example; fifth, a prayer for strength to carry out work well in His name. Your Purpose is a series of prayers that outline God’s purpose in granting you work. You and Your Company’s Success, Growth and Expansion tackles service to the company and its customers. Difficult Co-workers, Bosses, and Customers comprises prayers for courage, forgiveness, and strength. Problem Resolution in the Workplace supports the previous chapter, whilst God’s Favor contains thanks. Forgiveness are pleas and they complete a journey of faith. I liked the orderliness of this book, making it easy to read, and also making reference simple, because rereading is essential. The prayers must be learned but, although it is a short book, that would take time. I especially loved the biblical quotes used at the end of each short prayer that remind us they are all based firmly on His truth. I particularly liked the prayer that begins “Blessed is the Lord of the peacemakers”; it resounded so strongly with “Blessed are the peacemakers, for they will be called the children of God”. Stacey Cox has written a beautiful and very practical book for Christians worldwide, and I recommend it to all unreservedly.